"Secrets of the Chef" travelled to Tanger (Morocco) with food critic Michel Forgues-Locroix and TV presenter Felix Ramos, to record a new program and to introduce Moroccan food. 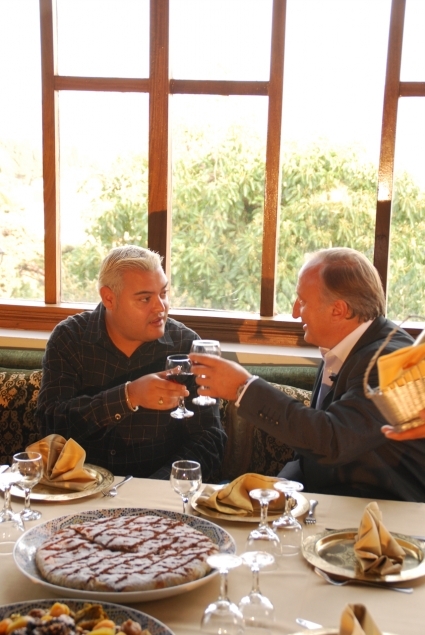 The place chosen for the food experience was the emblematic Hotel Minzah, where celebrities usually stay. The chef of the restaurant El Korsal prepared traditional Moroccan dishes and revealed a secret from her kitchen. Michael Jackson's Double in Morocco!